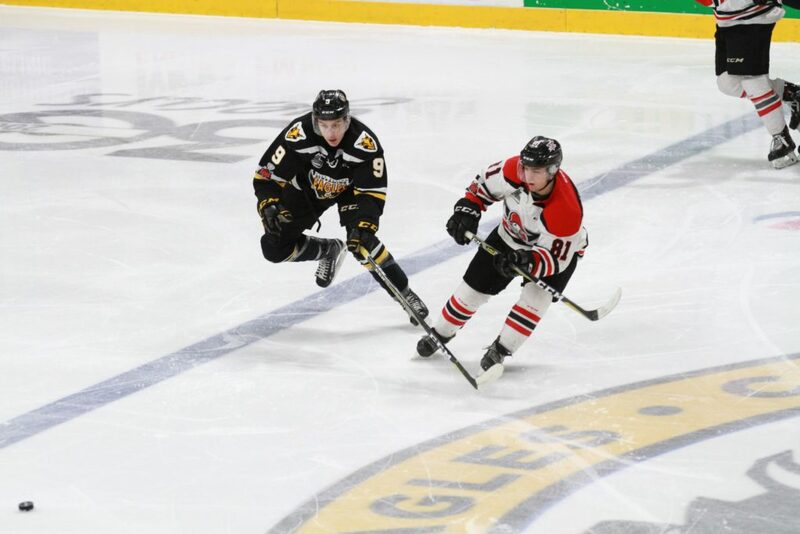 The midway point of a five game home stand for the Cape Breton Screaming Eagles comes with a stiff test as the Central Division leading Drummondville Voltigeurs are in town. It’s also a battle between two of the league’s hottest teams, as the Eagles have won eight of their last ten, while the Voltigeurs have won seven of their last ten. Tonight’s contest is a rematch of last year’s first playoff series that saw Drummondville emerge victorious. These two clubs will only meet twice this season, both in the month of February, and the first meeting is tonight. Drummondville is currently third in the QMJHL, and second in the Western Conference with a record of 31-15-4 (16-7-2 on the road). The Eagles are fourth in the Eastern Conference, 31-15-4 (16-7-2 at home). Currently the Eagles are two points ahead of fifth place Charlottetown, who has a game in hand on the Eagles and will visit Halifax tonight. Cape Breton holds a game in hand on third place Rimouski, who is five points ahead of the Eagles and will host Chicoutimi tonight. The Eagles have fared well on home ice in recent years against Drummondville, having won five of their last six regular season home games against the Volts. Cape Breton has not lost in regulation at Centre 200 against Drummondville during Marc-André Dumont’s tenure as head coach during the regular season, although Drummondville was victorious in three playoff games in Sydney last spring. Dumont’s club is looking to bounce back from Saturday, as a rally from 2-0 fell short in a 3-2 shootout loss to Victoriaville. Mitchell Balmas scored in that contest to help earn the Eagles a point in the standings and push a goal scoring streak to three games. Drummondville comes to town with a star-studded roster, including four of the league’s top 15 scorers. Heading the attack is Detroit Red Wings first round draft pick Joe Veleno who has 76 points through 40 games. Veleno is one of three first round NHL draft picks on the roster, along with Pierre-Olivier Joseph (Arizona) and Nicolas Beaudin (Chicago) on the backend. The roster also includes Anaheim second rounder and Team Canada world junior captain Maxime Comtois and net minder Olivier Rodrigue, who has the most wins of any QMJHL goalie this season.